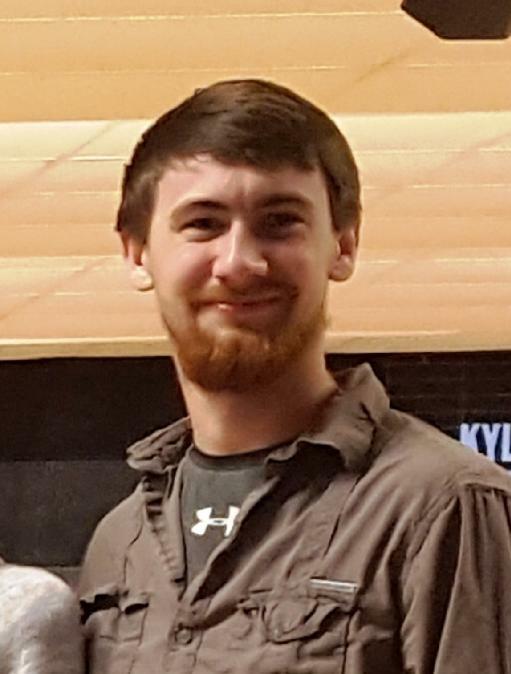 Donavan Michael Gieringer, 23, of Topton, died on Friday morning, March 22, 2019 as a result of an automobile accident in Longswamp Township. Born in Allentown, Donavan was a son of Michael F., husband of Wendy L. (Doll) Gieringer, Mohrsville, and Christina M. (Dolny), wife of Ricky Dey, Oley. Donavan attended Brandywine Heights School District and was a graduate of Lighthouse Christian Academy, Lyons. He was a member of Ray A. Master Post 217, American Legion, Topton, Mertztown and Kutztown Rod and Gun Clubs, APA Pool League and Lower Berks Pool League. Donavan was full of life and will be fondly remembered for his love of cars and trucks, fixing and helping others with their auto problems; being a jack-of-all trades; and snowboarding. In addition to his parents and step-parents, Donavan is survived by his siblings, Alysha R. (Gieringer), wife of Dillon M. Jauch, Topton, Patrick J. Gieringer, Shoemakersville, Christian T. Gieringer, Topton; half-brother, Leo A. Dey, Oley; step-brothers, Nick J. White, Mohrsville, Joshua L., husband of Grace (Dunning) Dey, Mertztown; maternal grandmother, Lucy J. (Leib), widow of Francis L. Dolny, Oley; and paternal grandparents, Frederick H., husband of Sandra L. (Hoyer) Gieringer, Fleetwood. A funeral service to celebrate Donavan’s life will be held on Tuesday, April 2, 2019 at 11:00 am. In Ludwick Funeral Homes, Inc., 333 Greenwich Street, Kutztown. Relatives and friends are invited to a viewing on Monday, April 1, 2019 from 5:00 to 8:00 p.m. and again on Tuesday, April 2, 2019 from 9:30 to 11:00 a.m. in the funeral home. Burial will be private in Topton Union Cemetery, Topton. Donavan’s selfless decision to be an organ and tissue donor will help save the lives of many individuals. His family would like contributions to be made in his memory to Gift of Life Donor Program, 401 N. 3rd Street, Philadelphia, PA 19123 or online at www.donors1.org or the Donavan M. Gieringer Memorial Fund c/o Ludwick Funeral Homes, Inc., P.O. Box 292, Kutztown, PA 19530-0292 to be used to cover unexpected medical and funeral expenses. Ludwick Funeral Homes, Inc., Kutztown is in charge of arrangements. Memories and condolences may be shared at www.Ludwickfh.com. You were a best feiend to my son since you were little boys. I watched you and Dereck become friends as you started school, grow together into young men, and support each other through so many situations in life. You were like another son of mine, the one that created havoc, made us all laugh, and even want to pull my hair out. I will miss you, but not more than Dereck. Know that your best friend will miss you and never forget all the shenanigans you both shared. The other side of the tracks will never be the same. We love you Donavan, may you be at piece, and watch over us all. Donny, you were such an amazing person. You always did your best help anyone who needed it. You were always so generous and kind to all of your friends. You knew how to bring out a smile in someone. We're going to miss your smile the most though. I can still hear your silly laugh that's so contagious it would have me in tears. We all have found memories of you. To be honest, I don't think there were many memories I have of you that were bad. I know I can't remember a single one. You were always so full of adventure. You knew how to have a good time. I remember the first time I ever crowd surfed at a concert. You just tossed me up. It was my birthday and one of the best days I've ever had. You always knew how to have fun and always made sure I was safe while doing so. You were like my protector. You never let anything bad happen to me. You were like that with all your friends. You always helped us through the tough times, when you were having it rough yourself. You were always so selfless. You helped my Sister and I through some of the toughest times. I can't thank you enough Donny. You were such an amazing friend. I'm going to forever have you close to my heart. I know we all will. Thank you for being the sunshine to our rainy days. I love you so much. R.I.P Goofball. My best friend, and the home of my heart. We've been through so much together. We always had a good time. Going out on adventures with no destination. Driving the back roads in your truck talking about life. The time you let me drive your truck because you didn't want to move but wanted cigs. That time we did 100 mph on a straight away. And the time we burned my old mattress drinking beers, our own bonfire. Going to Topton pool with you, you of course showing off lol. Teaching me how to be a good shot in pool, even though I'm still not good. You didn't give up me! You always laughed when I missed an easy shot. Theres so many memories with you I could share over the past seven years. The best times were these past couple months I spent with you, singing our song together, you said you loved hearing me sing. Staying over for 2 weeks going to sheetz at 2am for fried fast food, sitting down together like it was dinner for two. Thank you for loving me like you did, thank you for always pushing me to do my best and to never give up the fight of life. Thank you for always being there for me, and thank you most of all, for being by my side. I'll always remember us, you'll always hold a special place in my heart. The sweetest man i knew but also the craziest. I'll miss you, always. Please share your memories of Donavan.